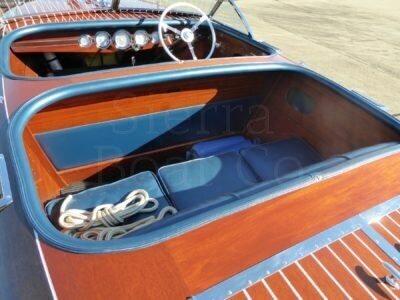 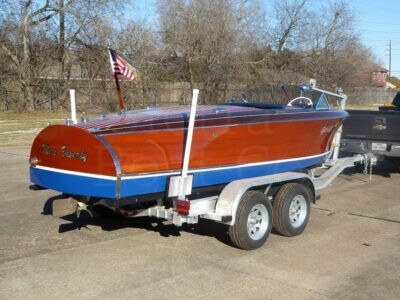 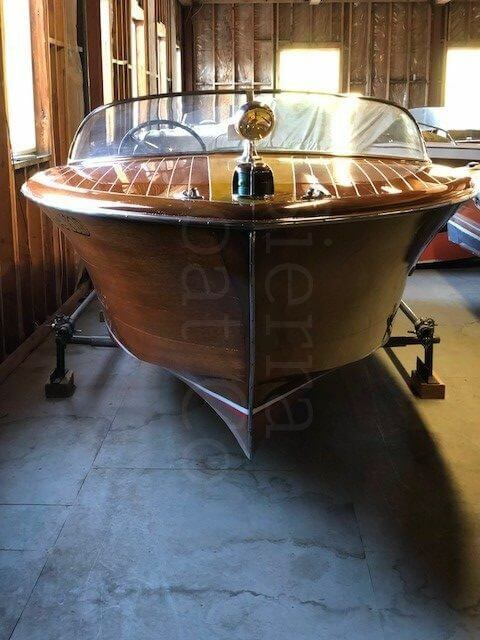 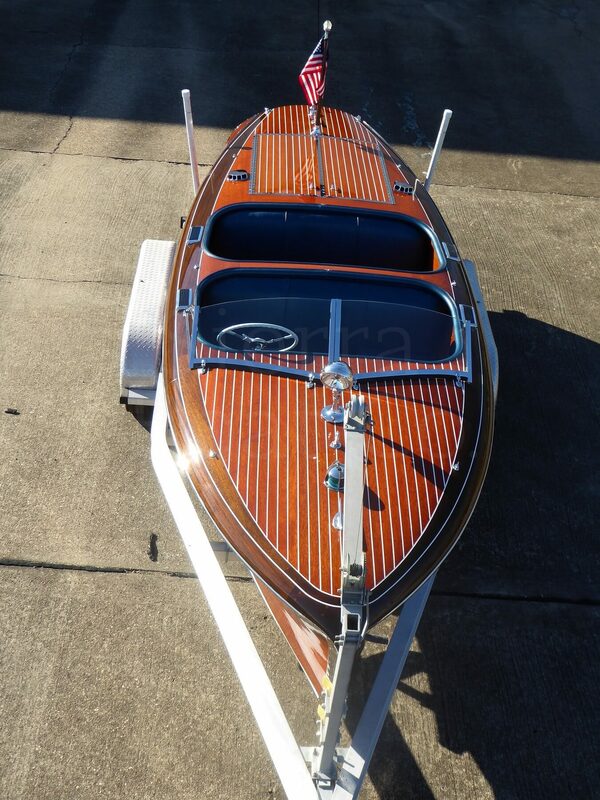 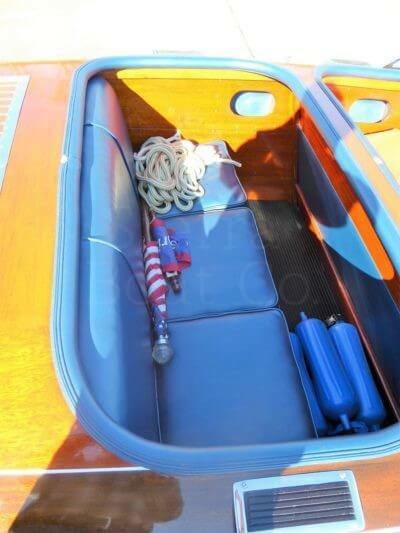 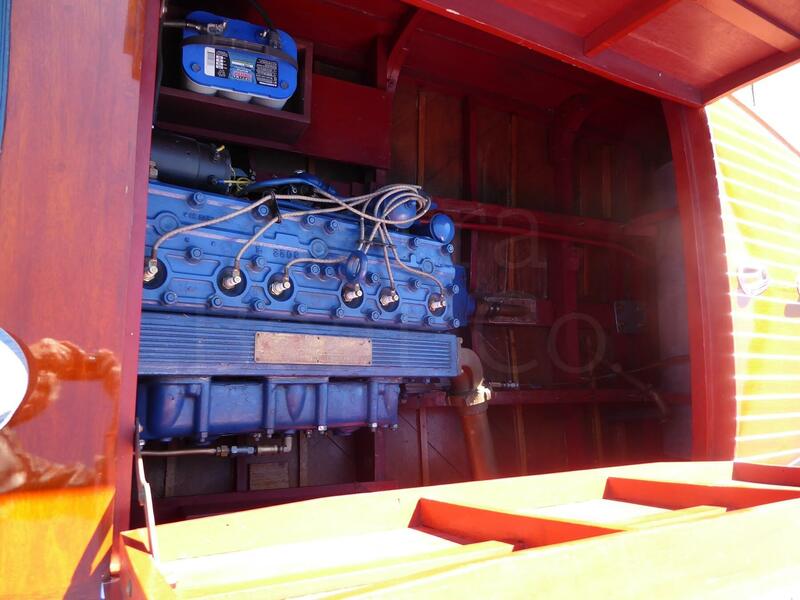 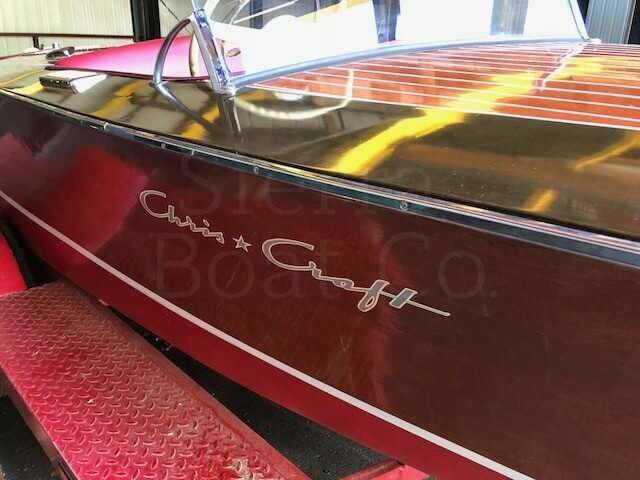 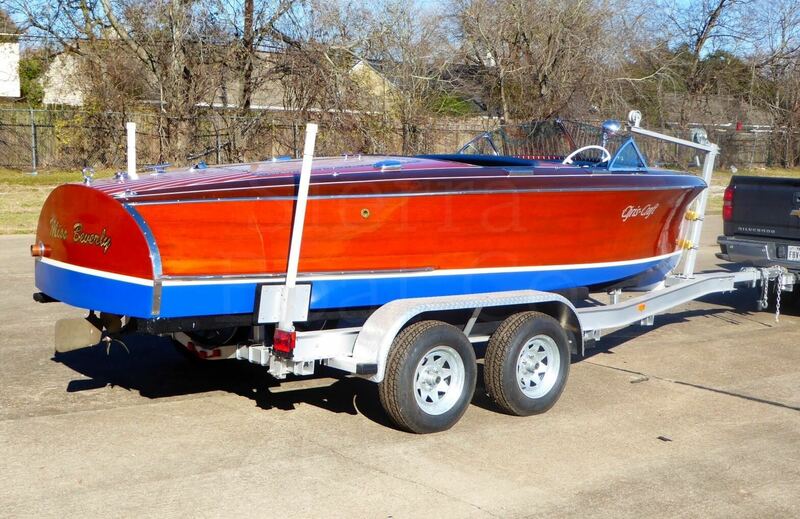 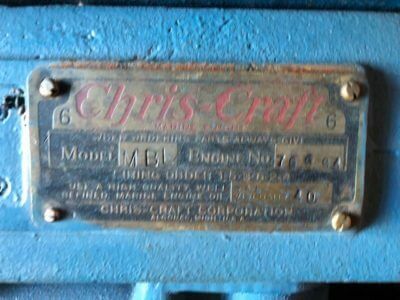 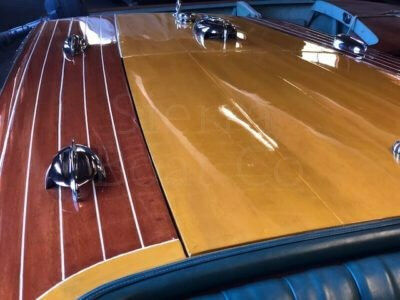 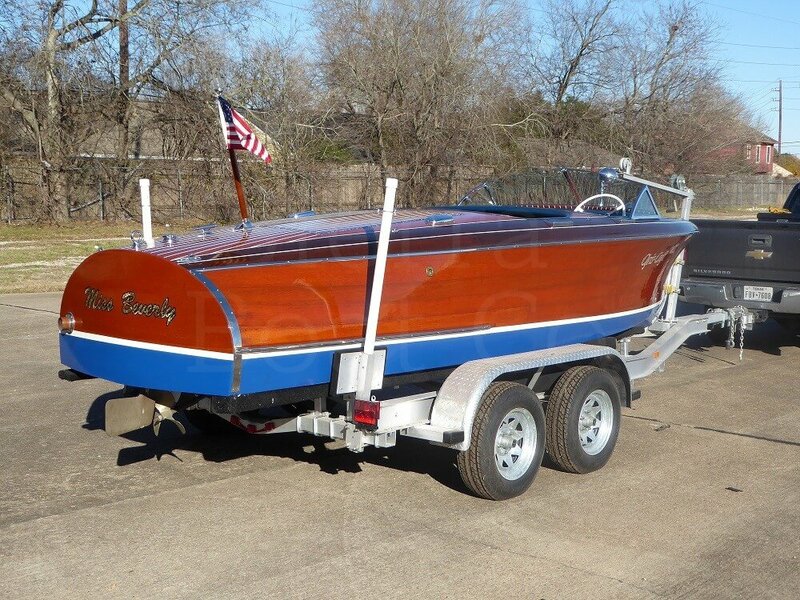 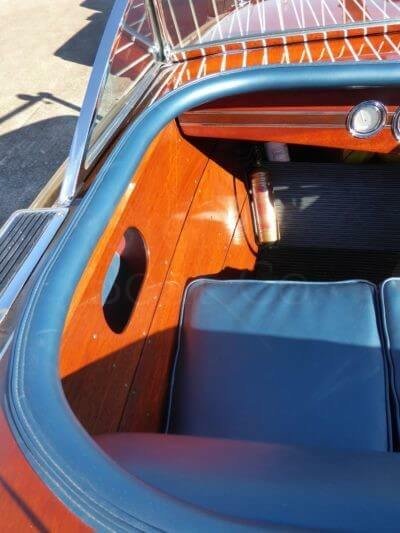 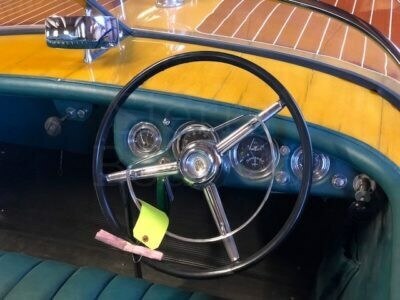 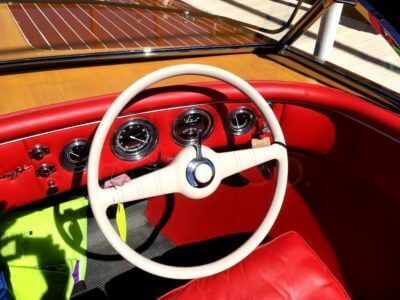 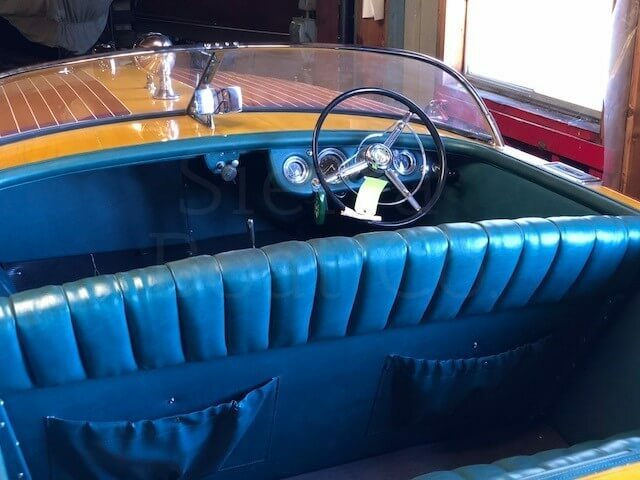 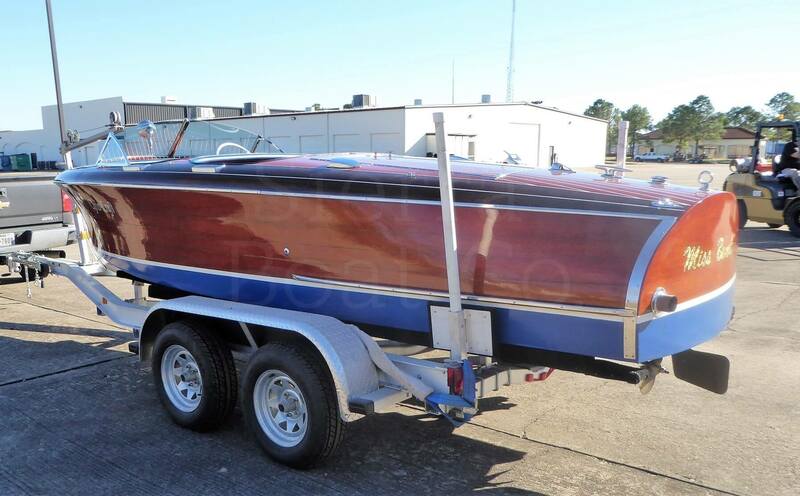 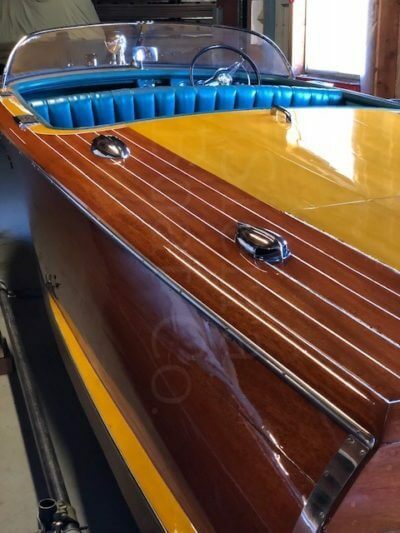 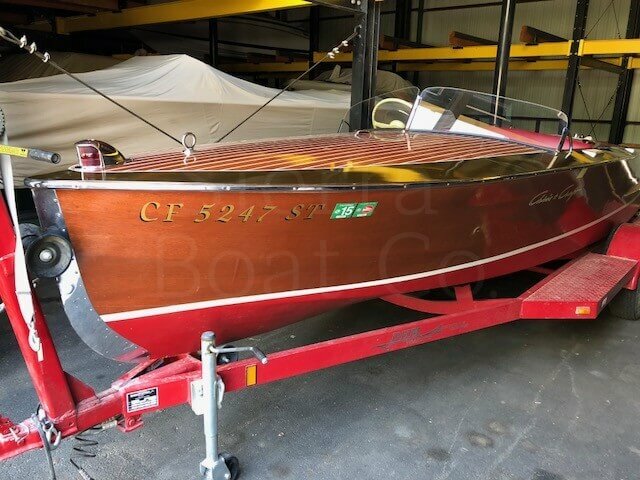 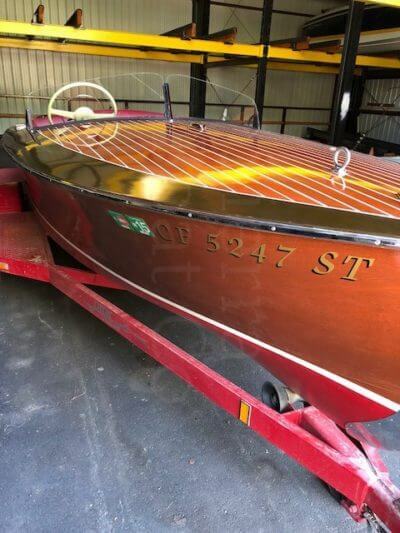 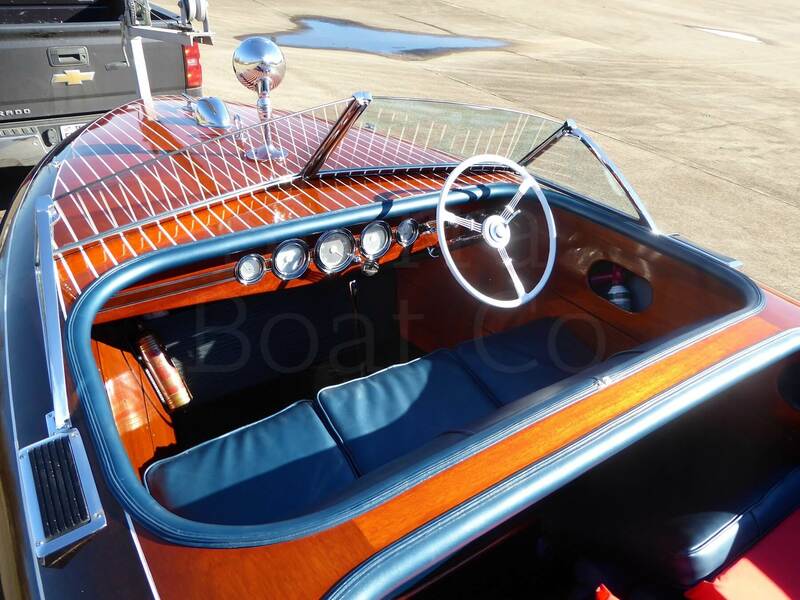 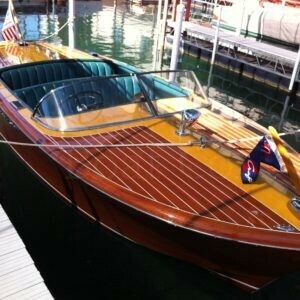 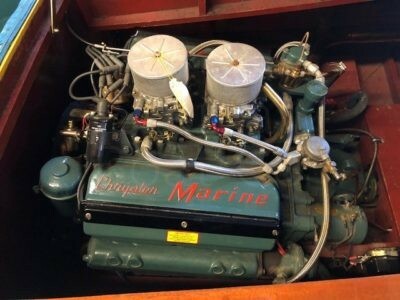 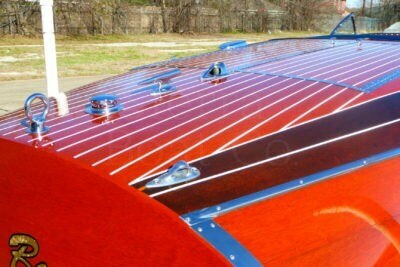 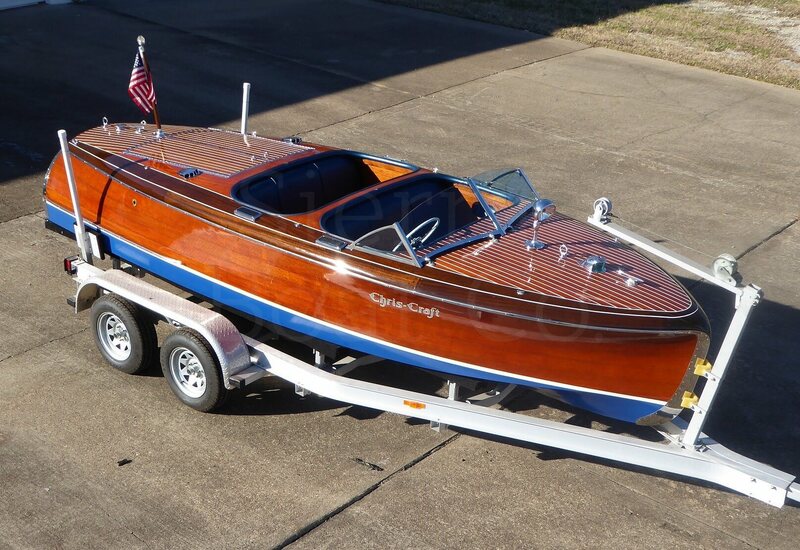 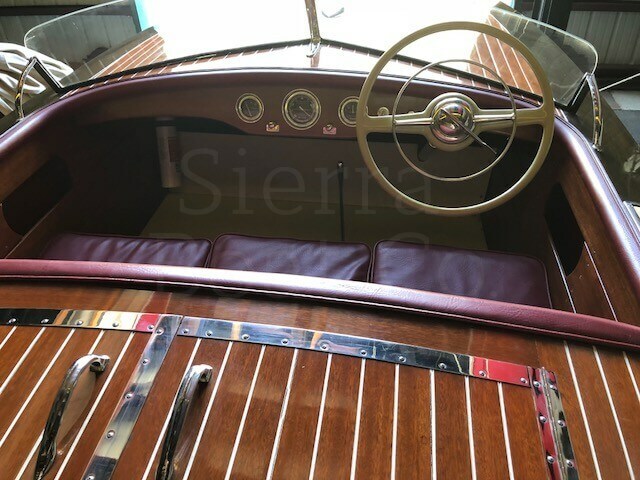 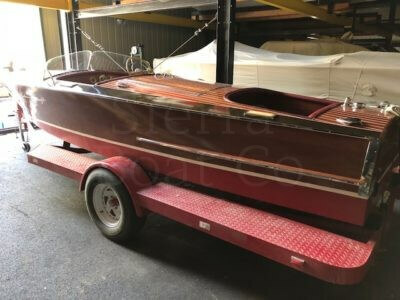 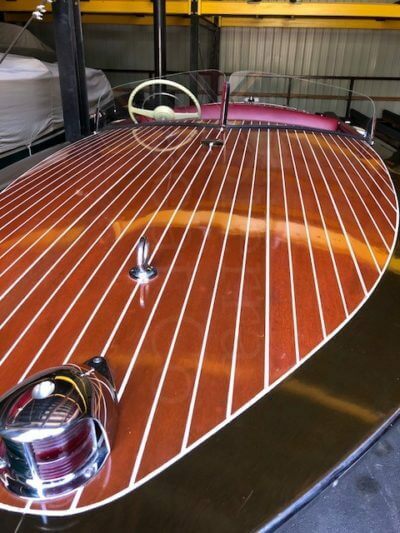 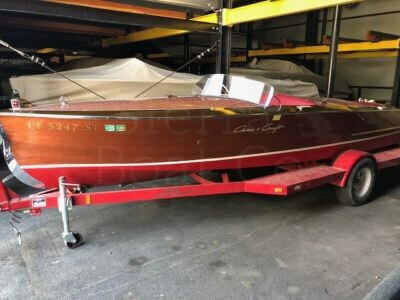 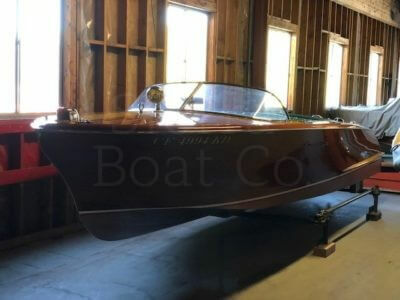 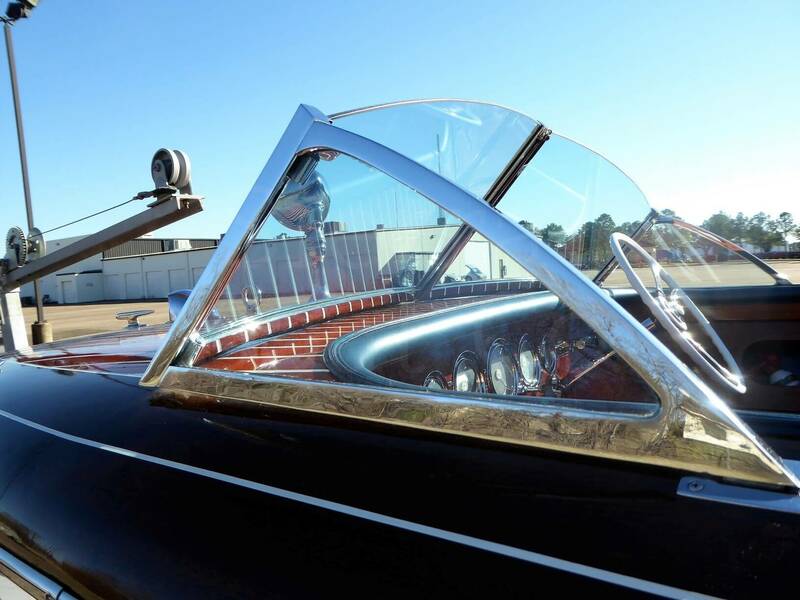 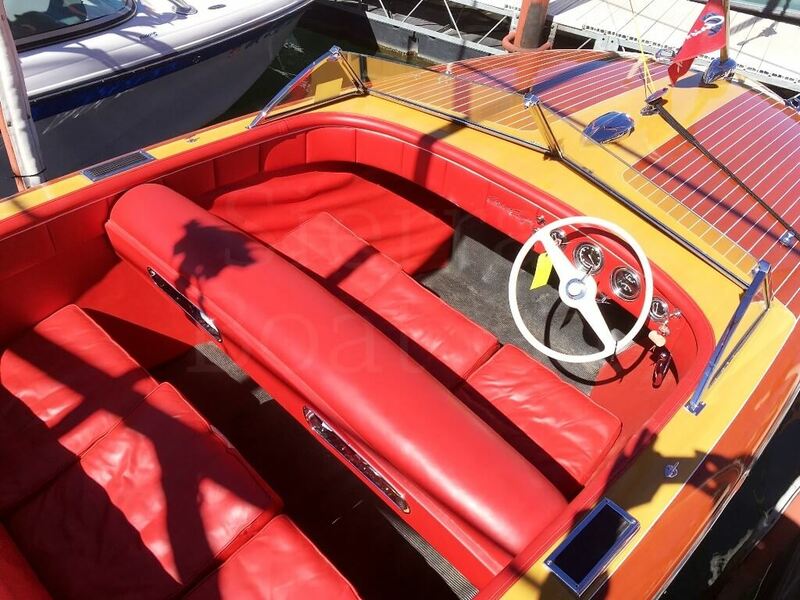 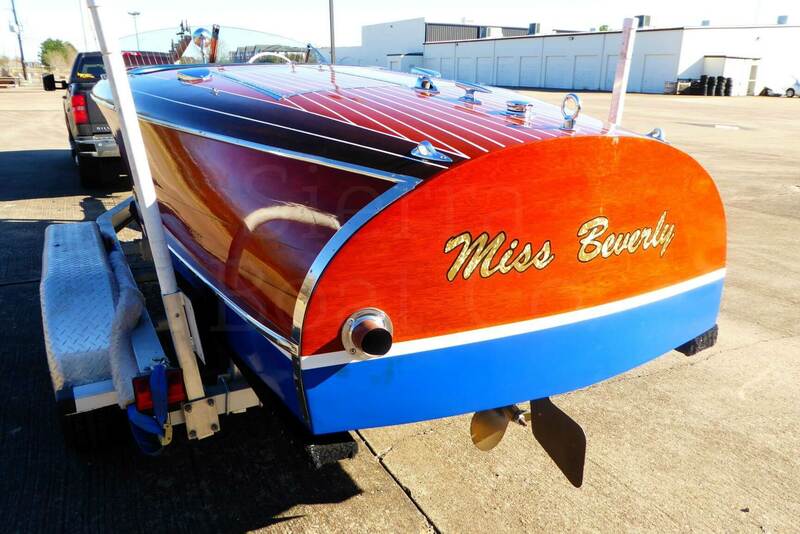 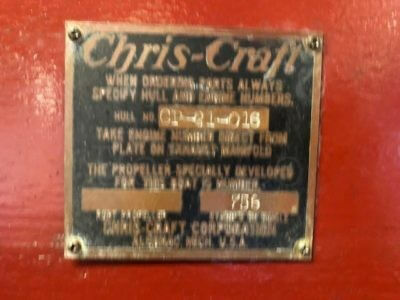 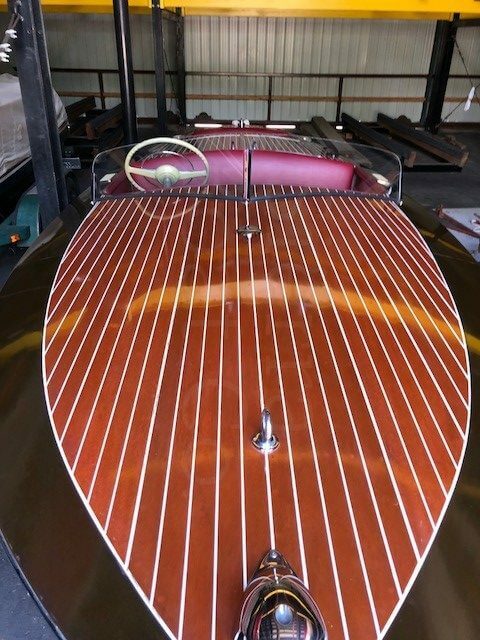 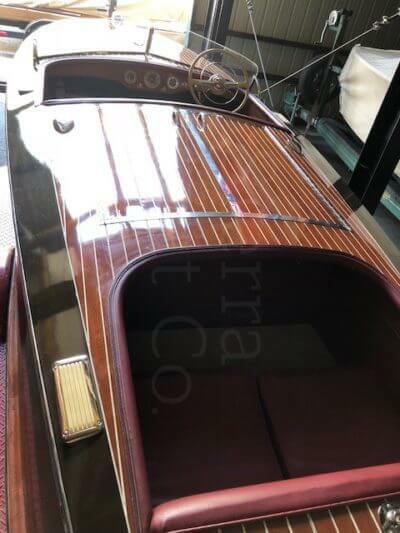 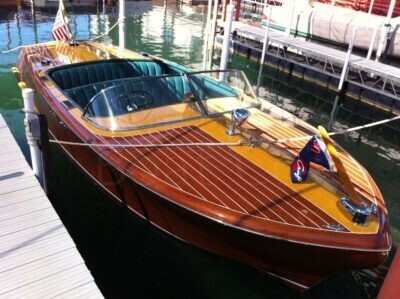 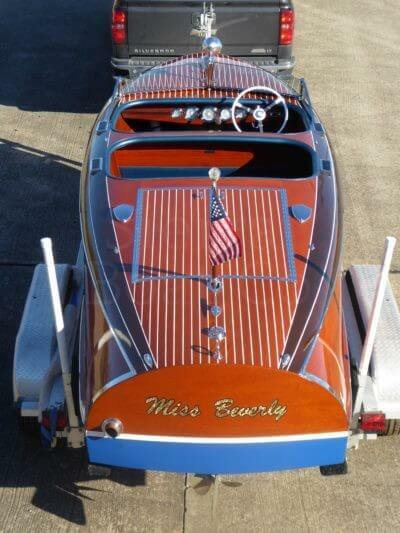 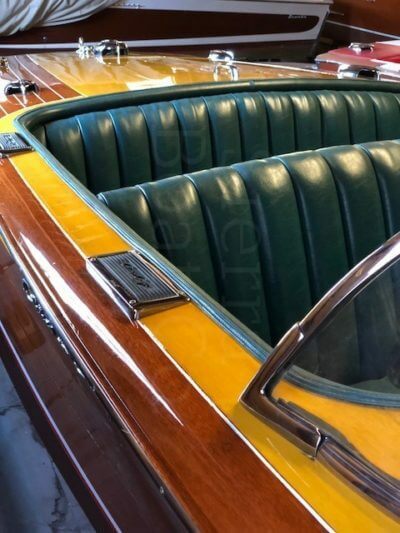 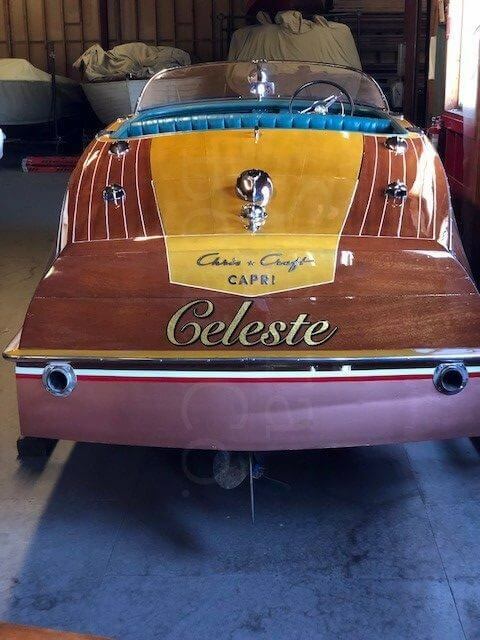 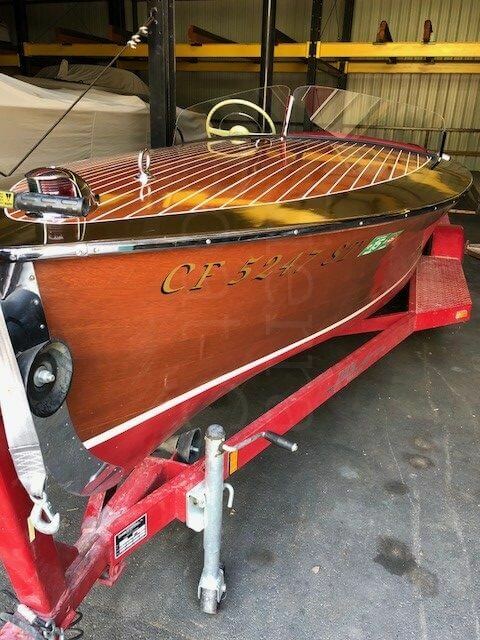 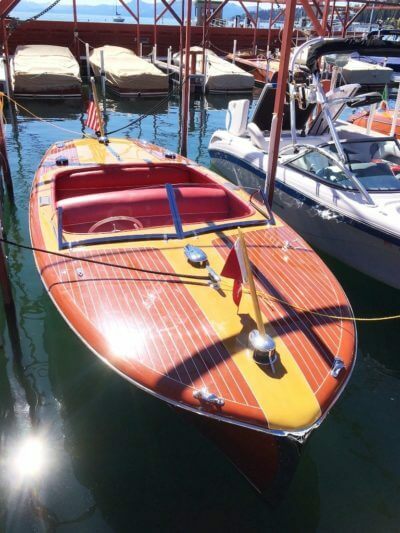 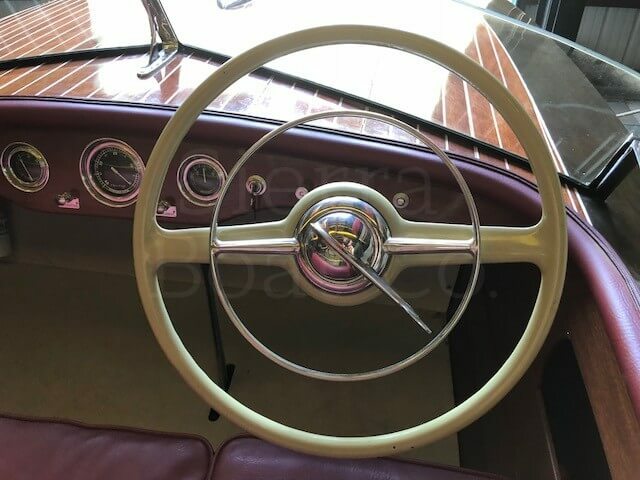 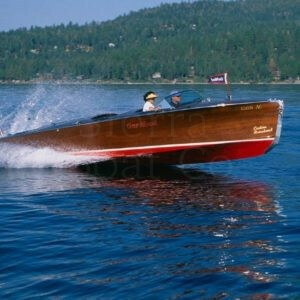 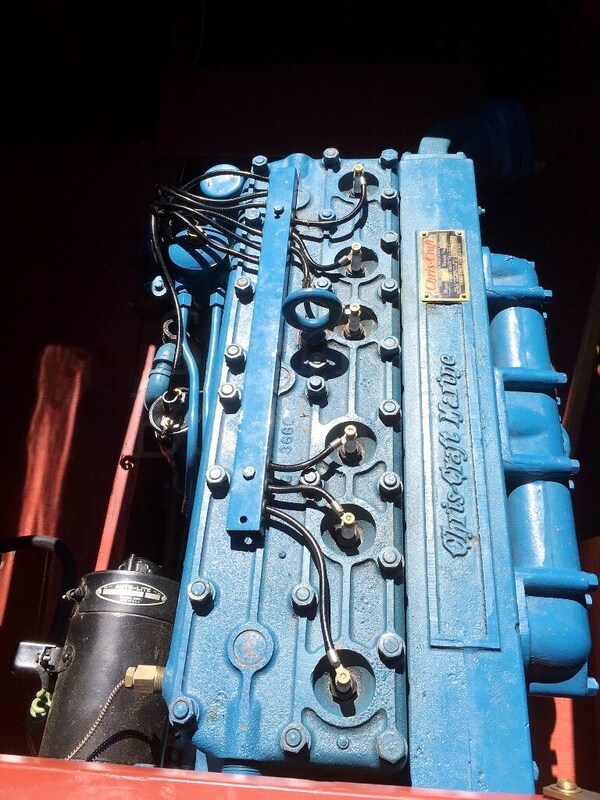 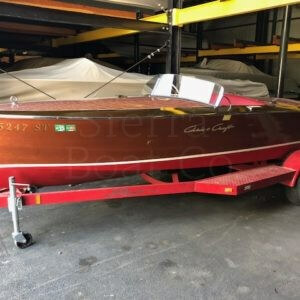 This is a 1948 Chris Craft 20ft Custom Runabout. 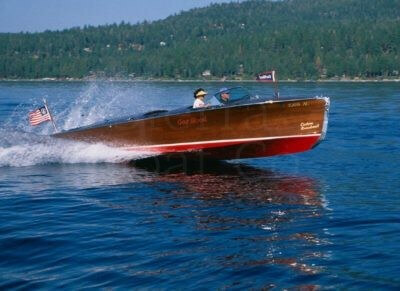 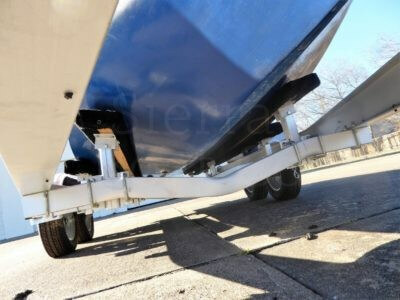 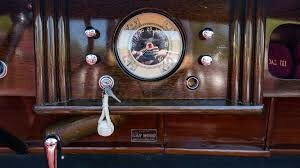 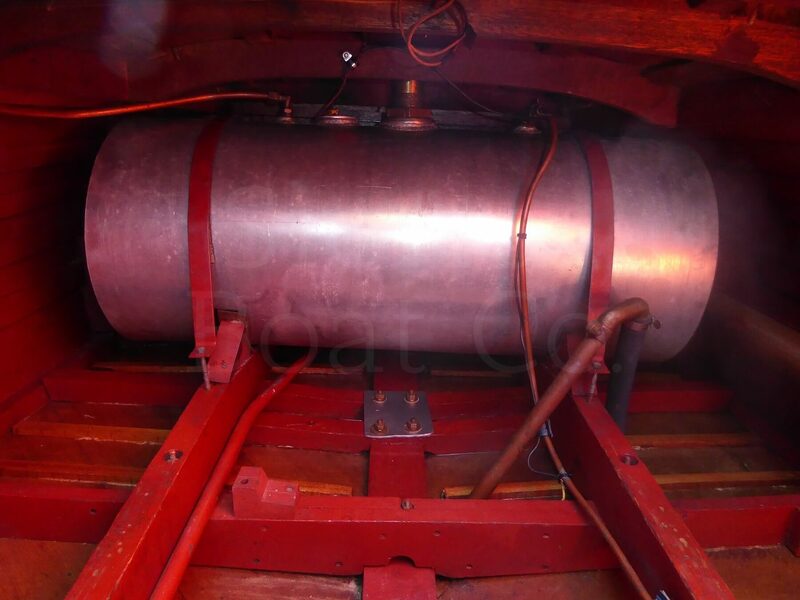 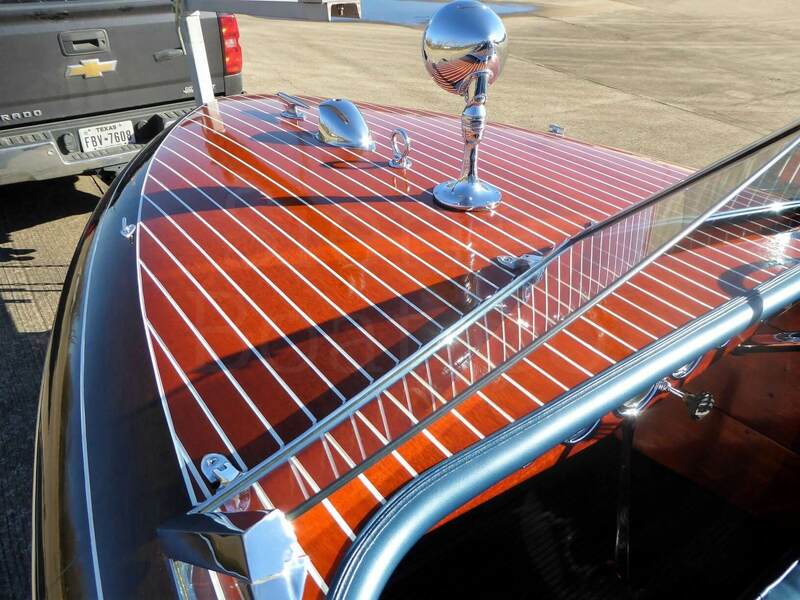 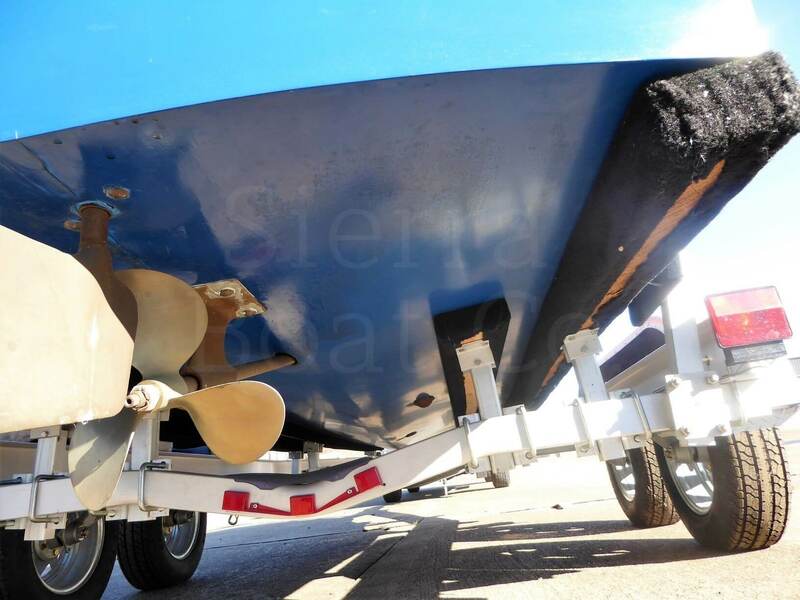 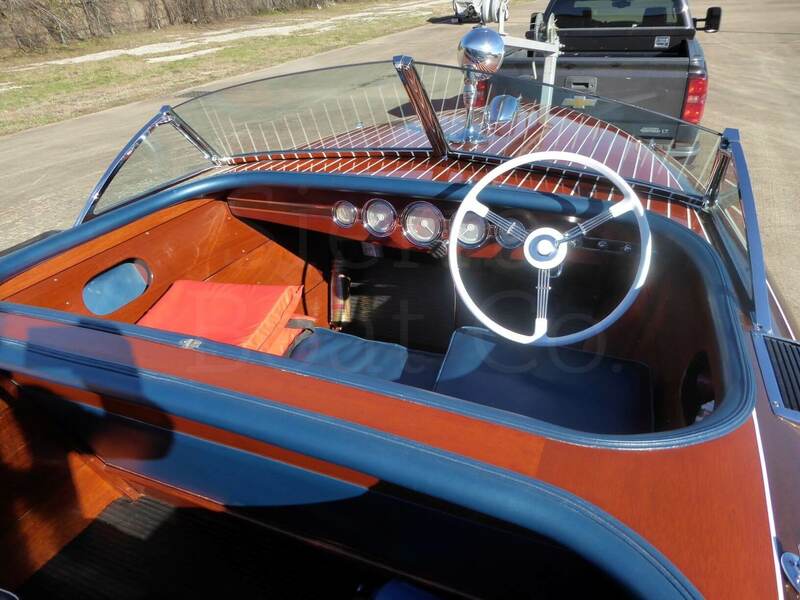 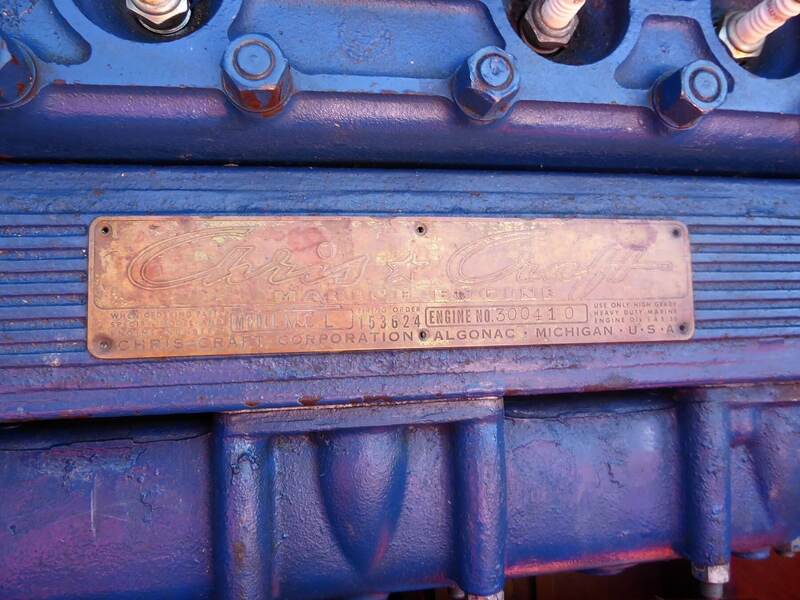 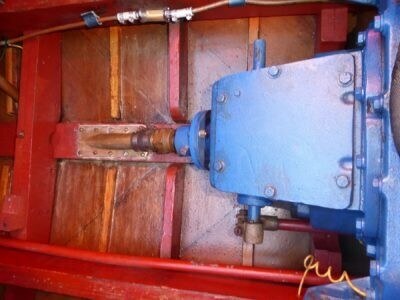 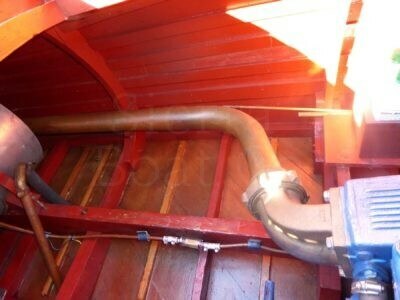 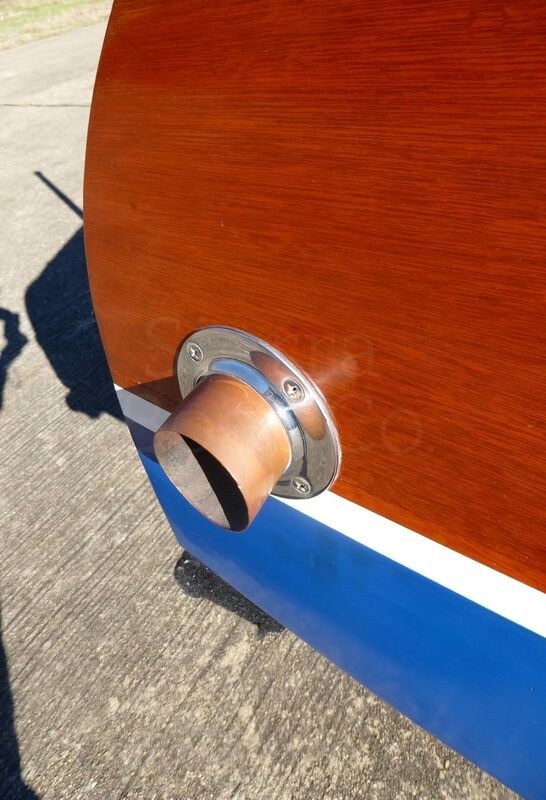 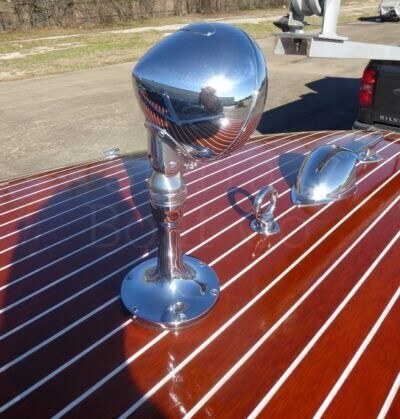 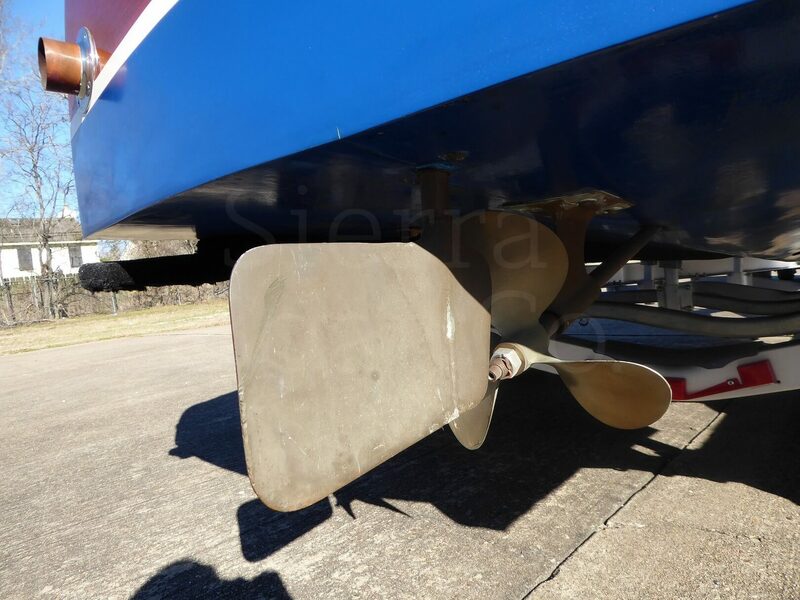 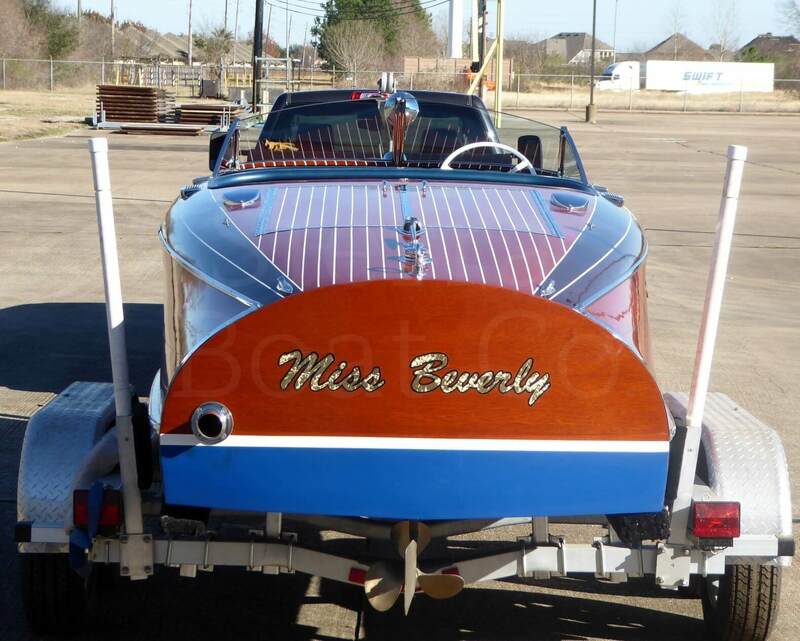 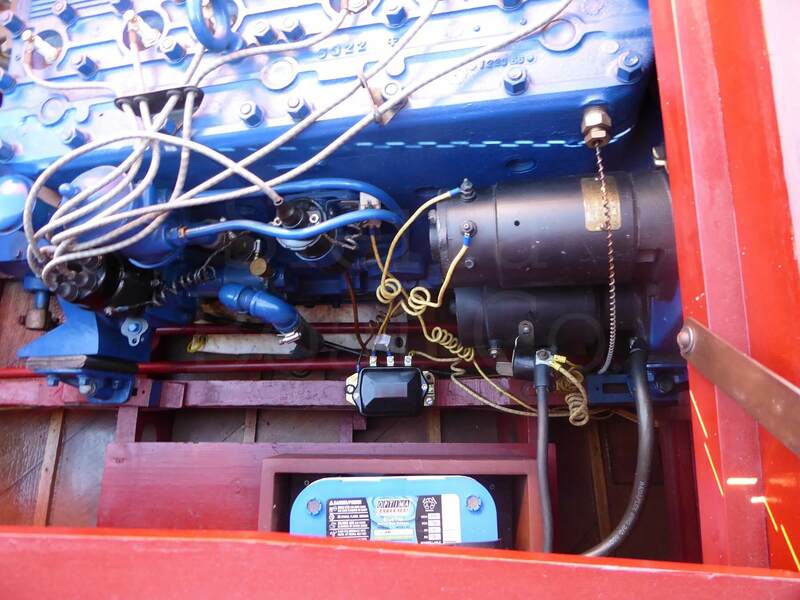 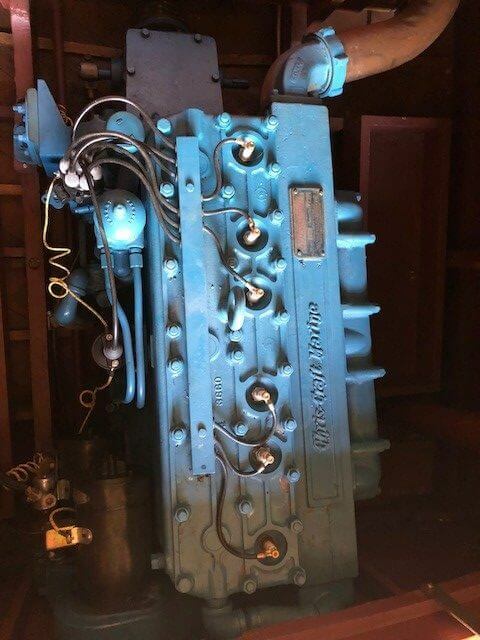 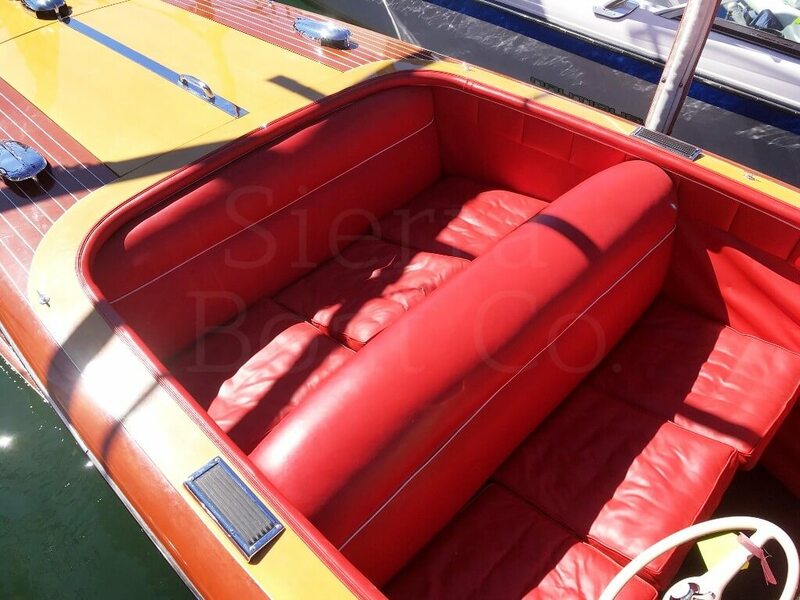 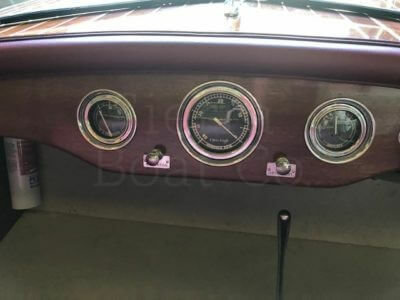 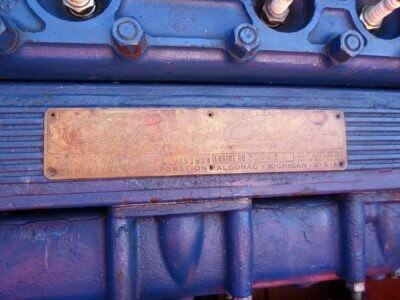 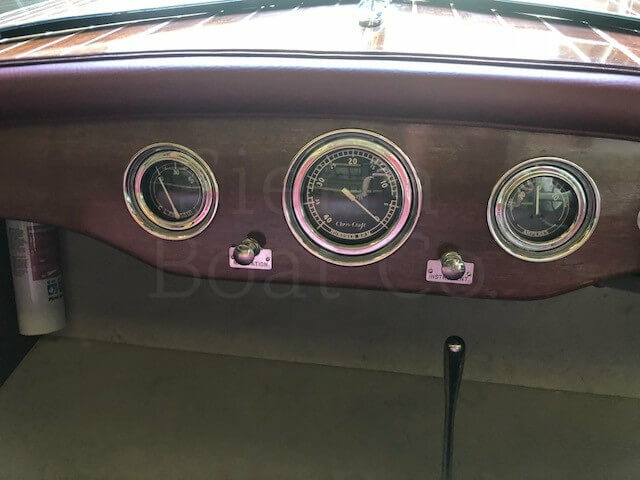 The 20ft Custom was the post war continuation of the pre-war 19ft Custom Runabout, better known as the barrel back. 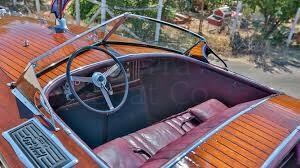 The post war boats were more modern in every way, sporting a much roomier and plush cockpit. 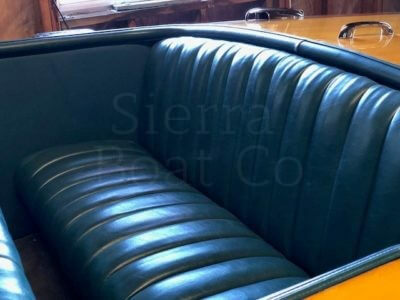 Extra thick padded bolsters emulate the finest cars of the day. 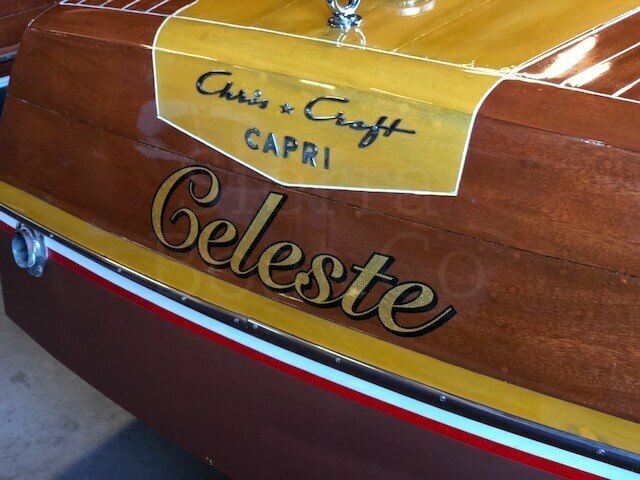 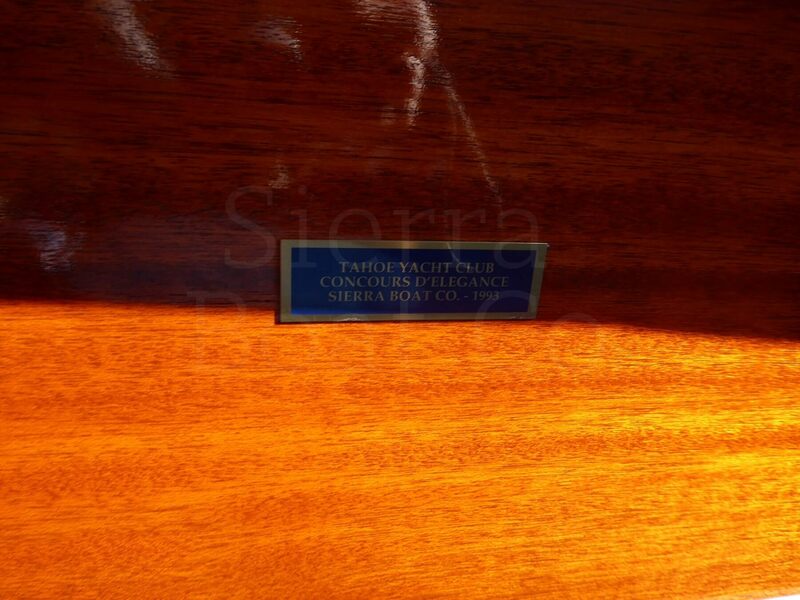 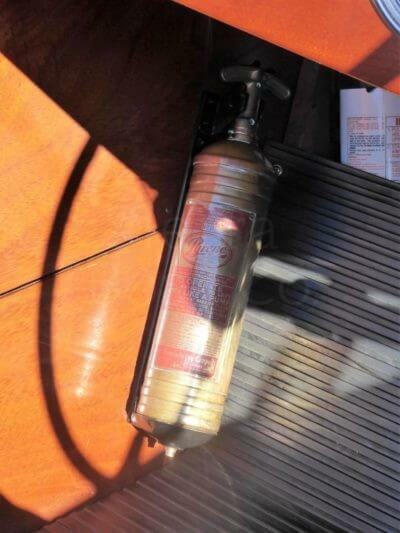 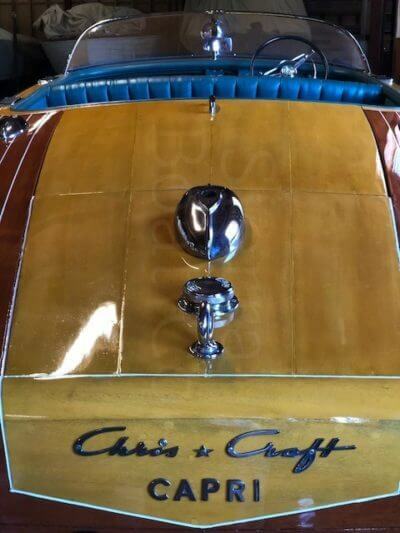 The two-tone red and blond wood stain was the debut for this color combination. 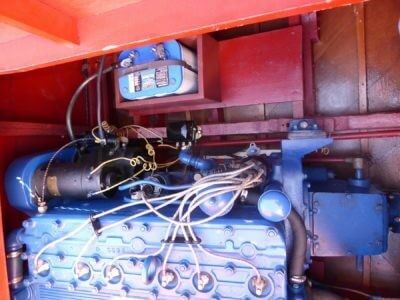 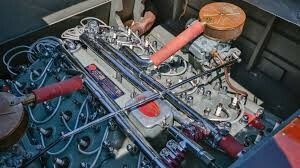 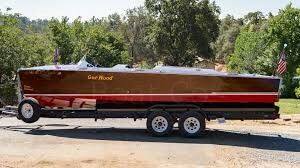 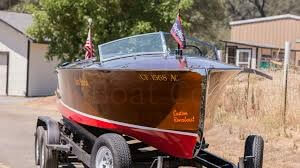 The boat is powered by a 158 hp Chris Craft MBL engine which gives this boat respectable performance with 30+ MPH on Lake Tahoe. 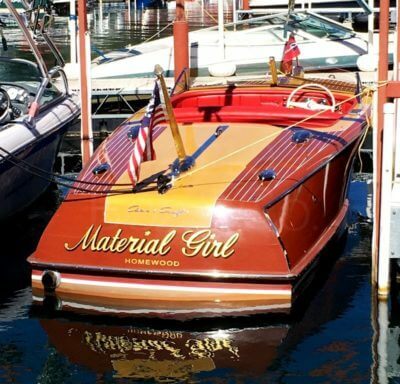 Material Girl was fully restored and is in very good to excellent condition. 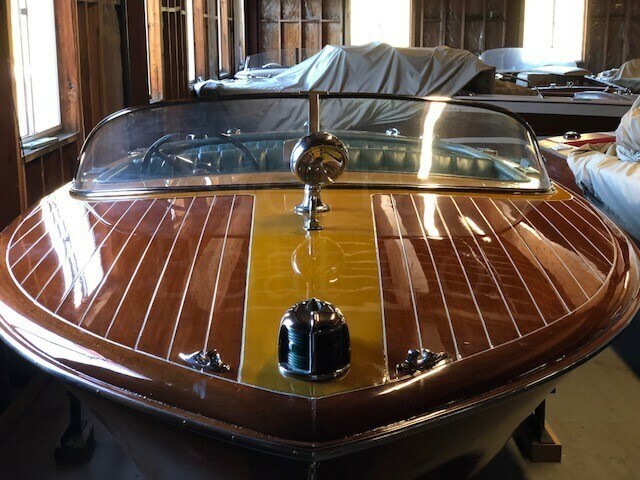 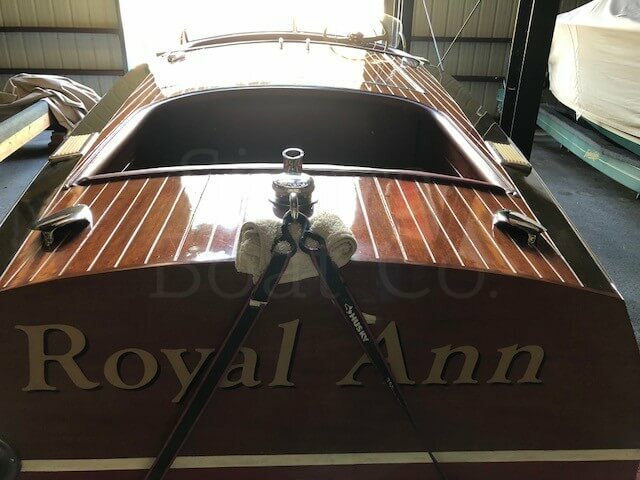 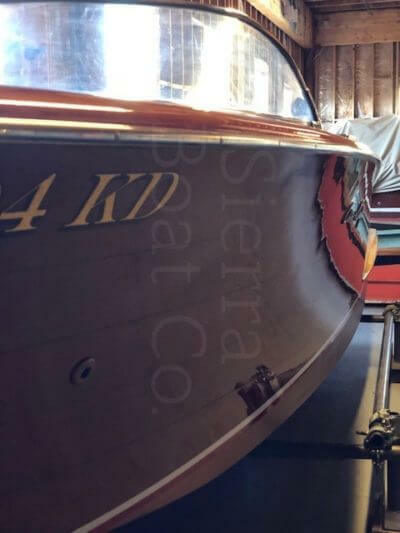 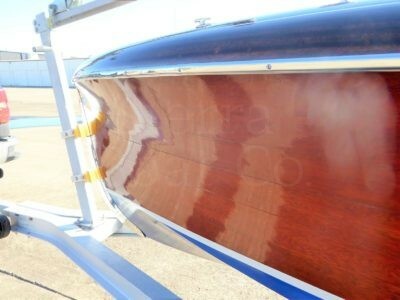 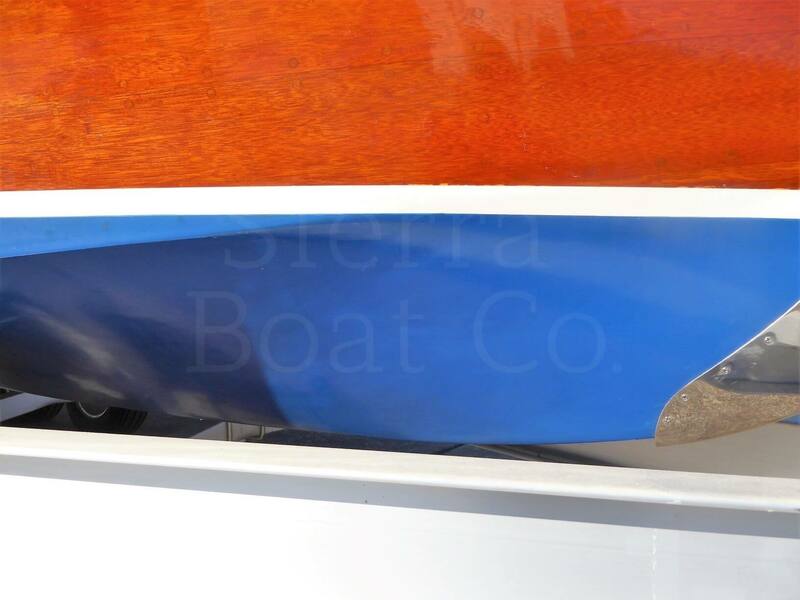 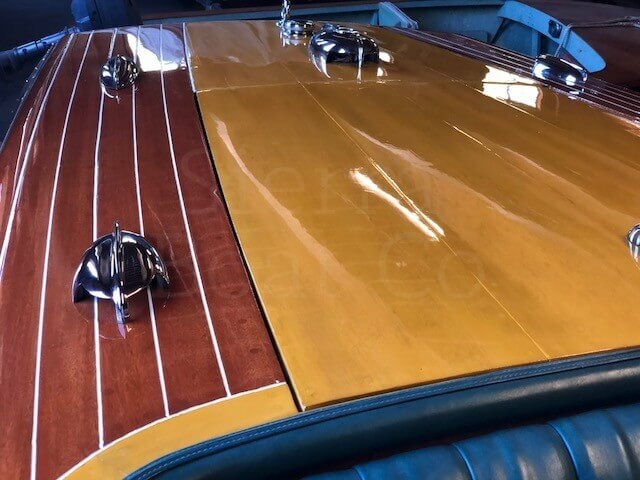 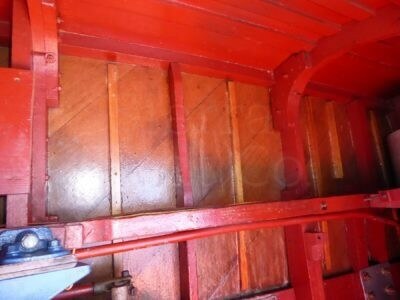 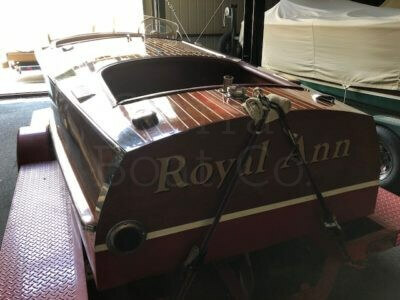 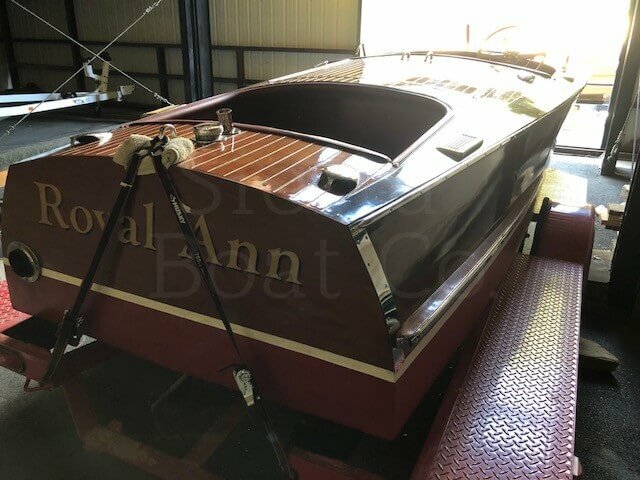 She was restored by well-known restorer Dave Wright and features fully epoxy glued construction and a west-system bottom for leak free use. 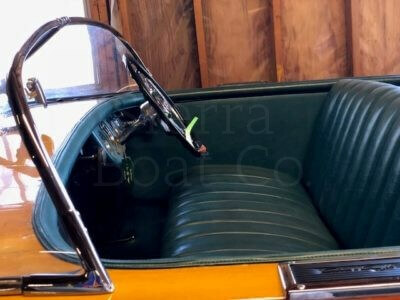 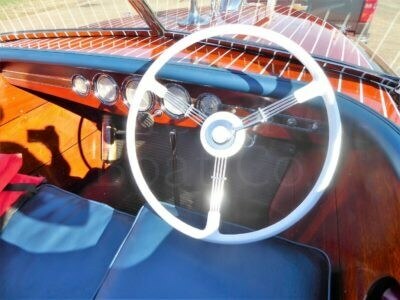 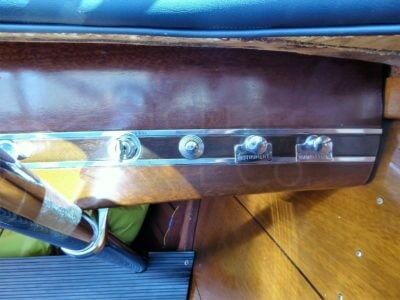 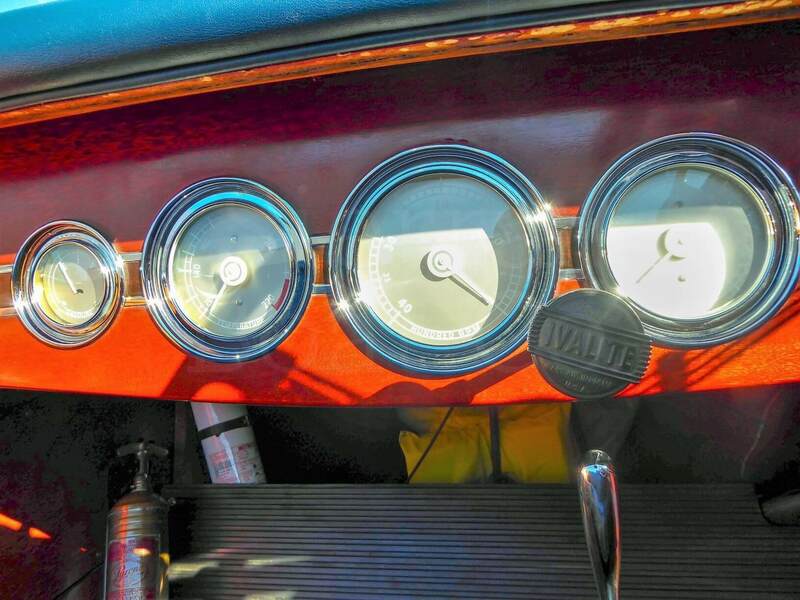 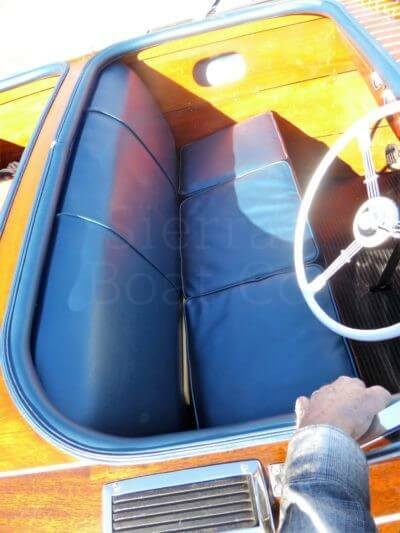 The upholstery is genuine leather as original. 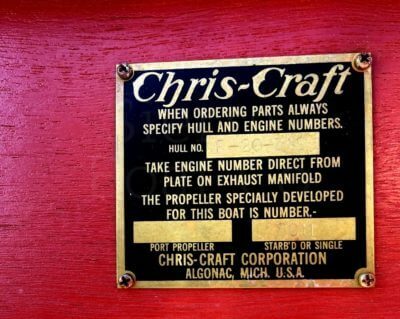 All details are show correct. Comes on a 2011 tandem trailer. 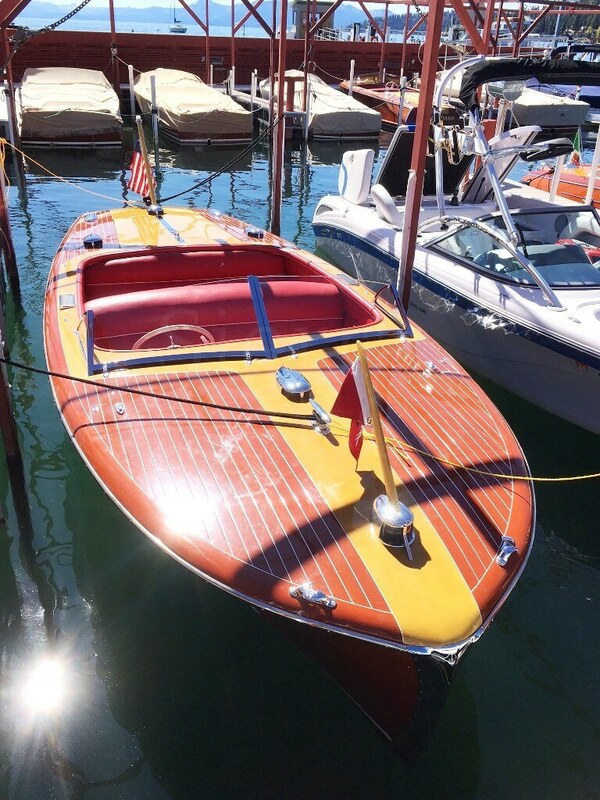 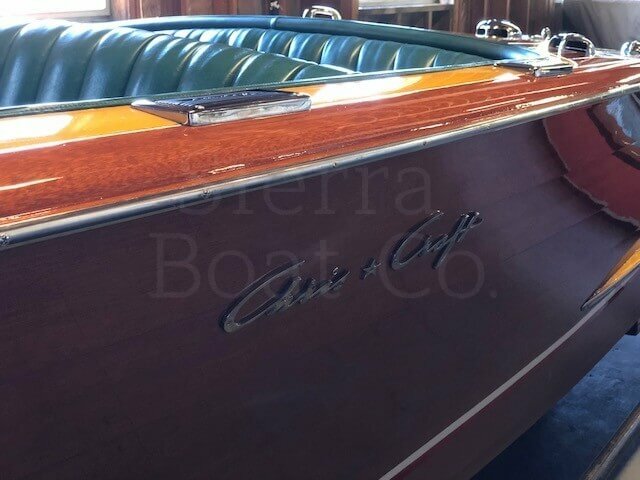 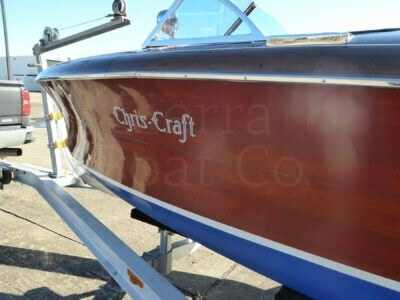 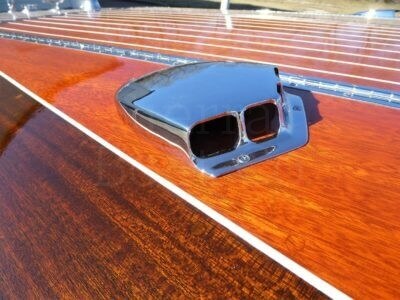 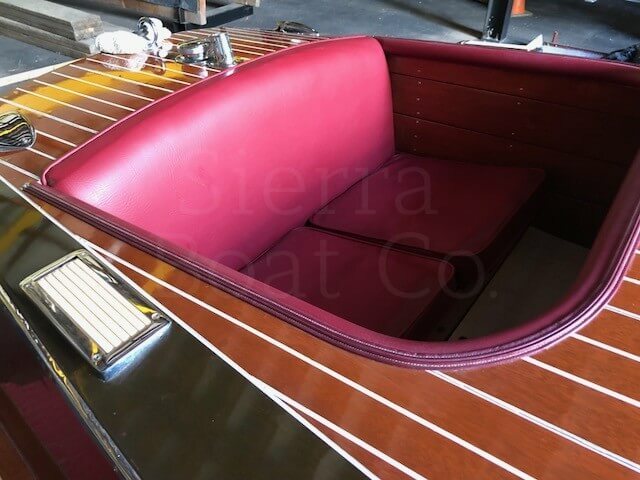 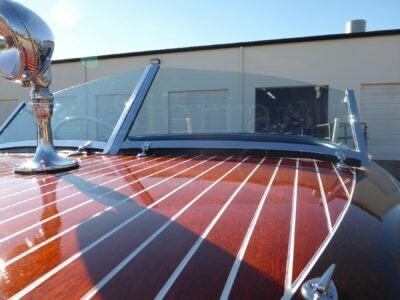 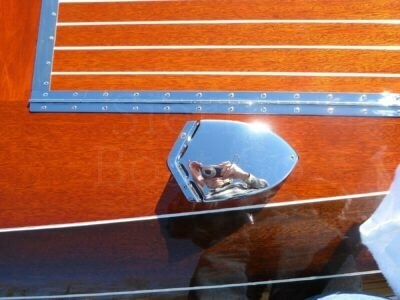 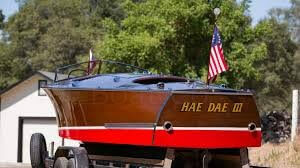 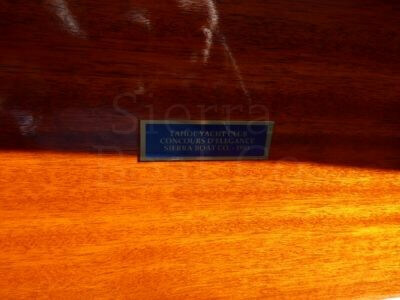 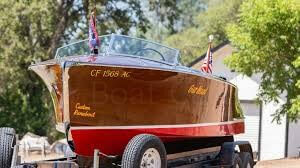 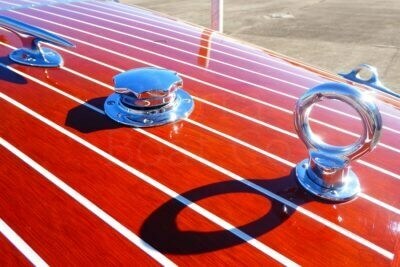 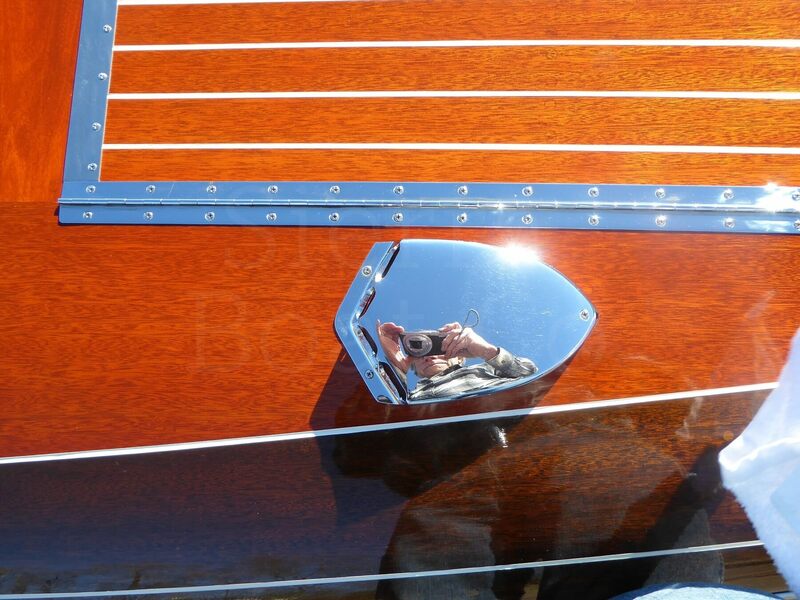 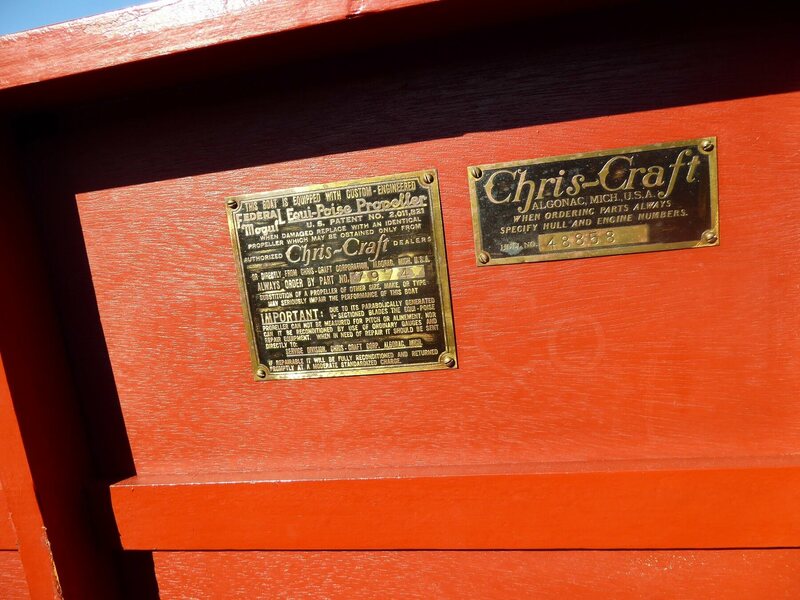 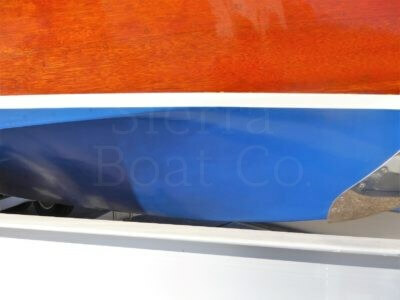 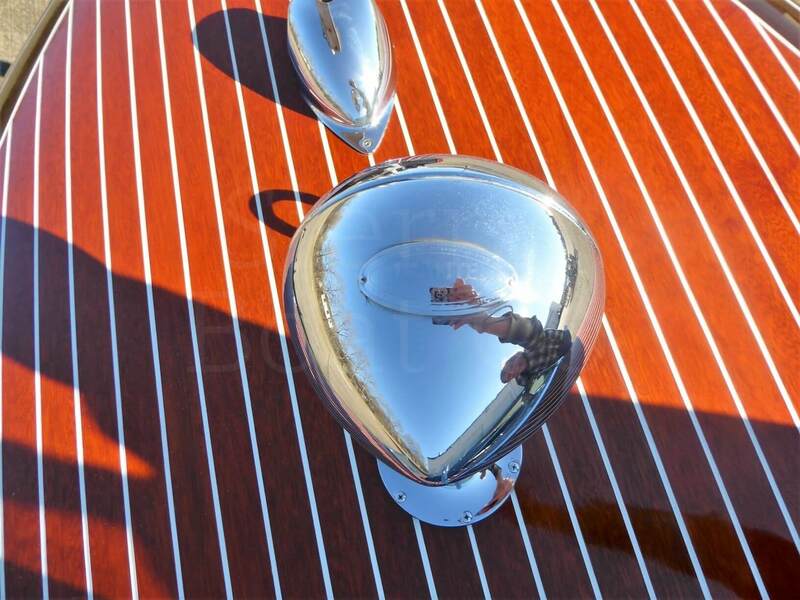 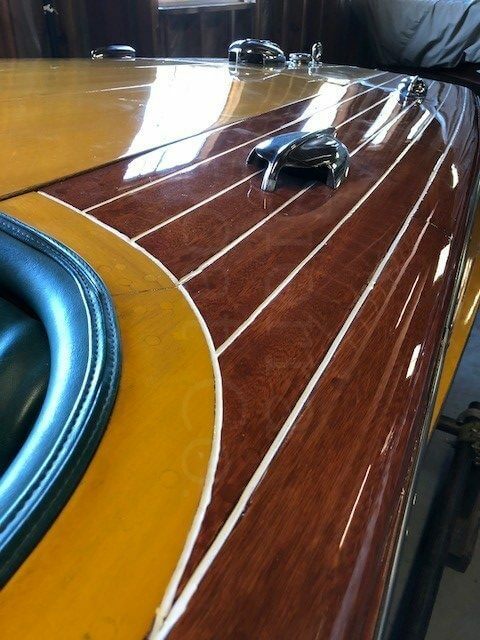 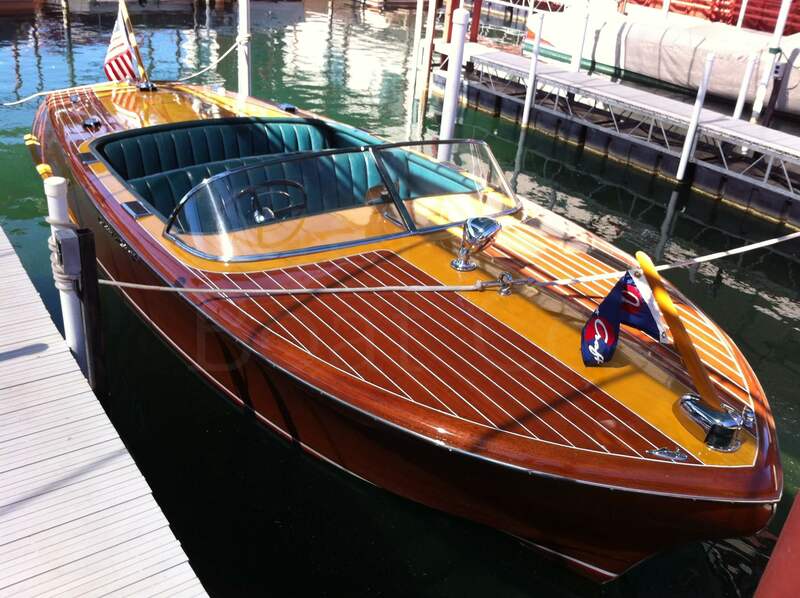 This Boat won the Best Chris Craft Award at the 2011 Lake Tahoe Concours d’ Elegance.